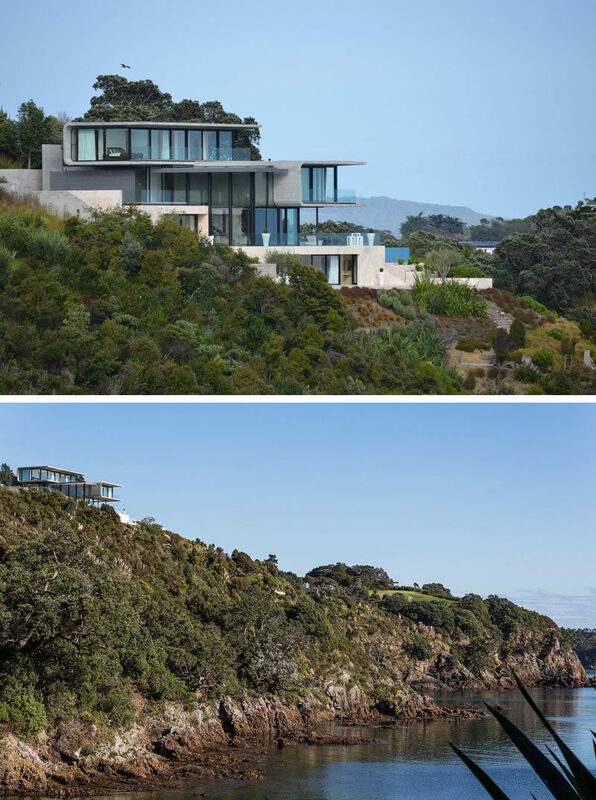 Archimedia in collaboration with their client, designed this home that sits high above a rocky cove on Waiheke Island in New Zealand. 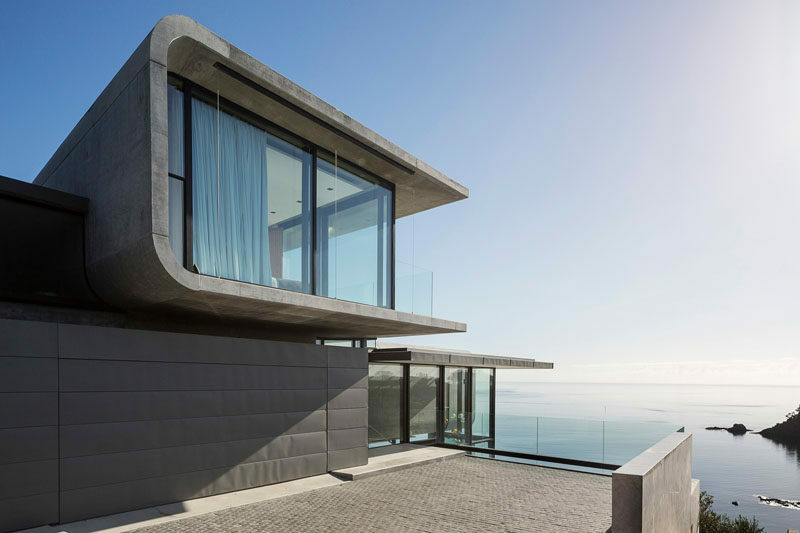 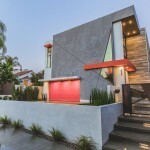 As the client is a structural engineer, concrete was the chosen as the core material for the structure of the home. 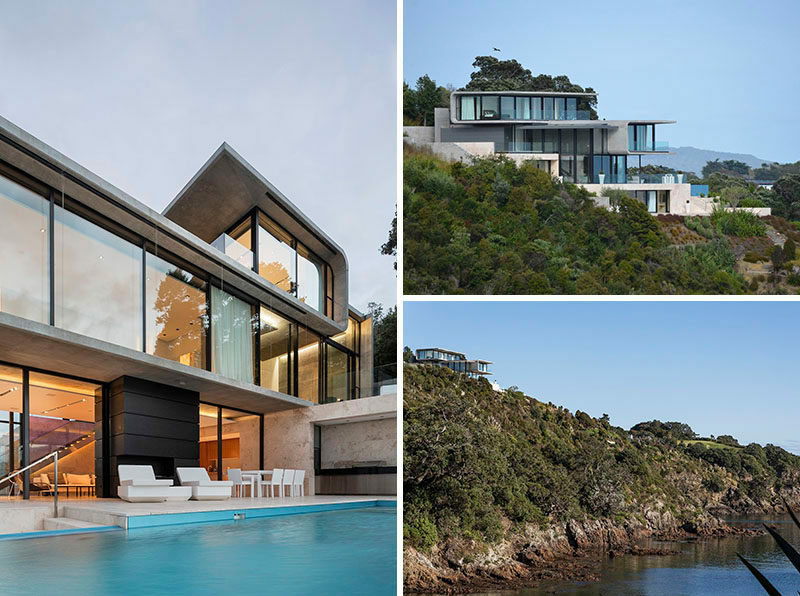 Multiple levels are tucked between curved concrete to create various platforms for living. 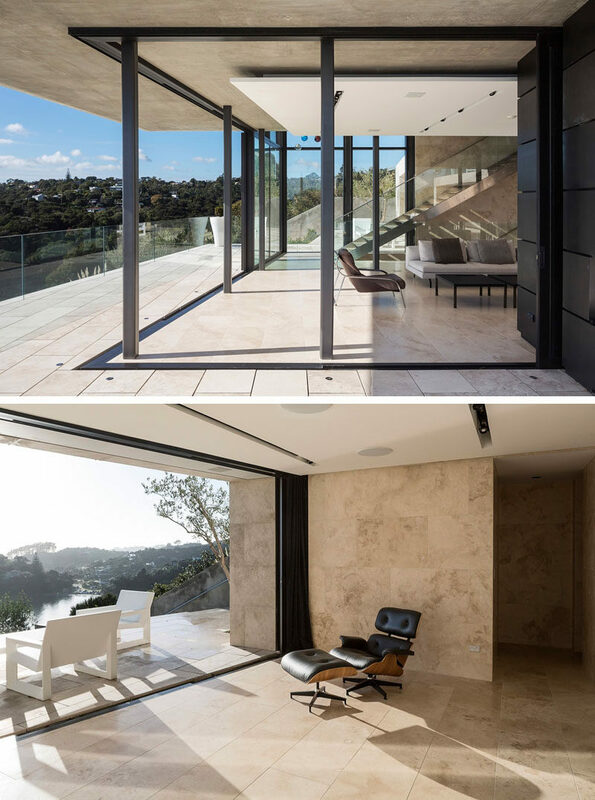 The living areas have sliding doors that open up onto balconies to extend the living space. 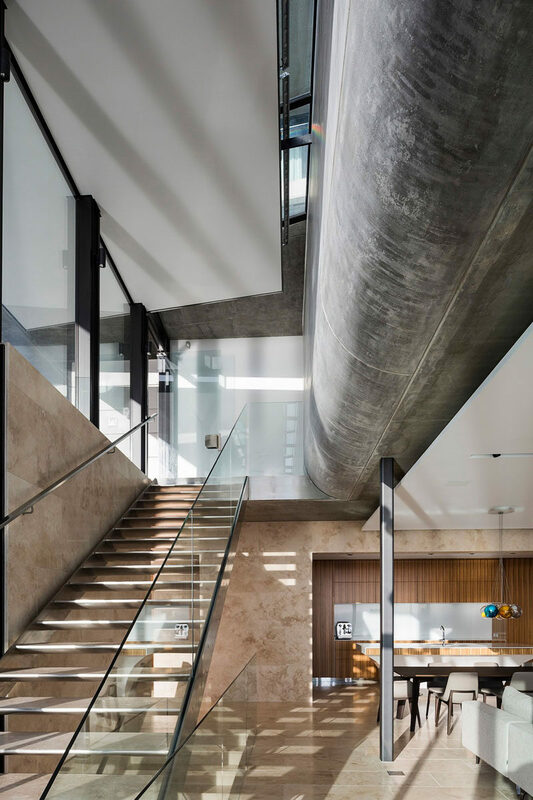 Further inside, you can really see the curved concrete details that sits above the living room and kitchen. 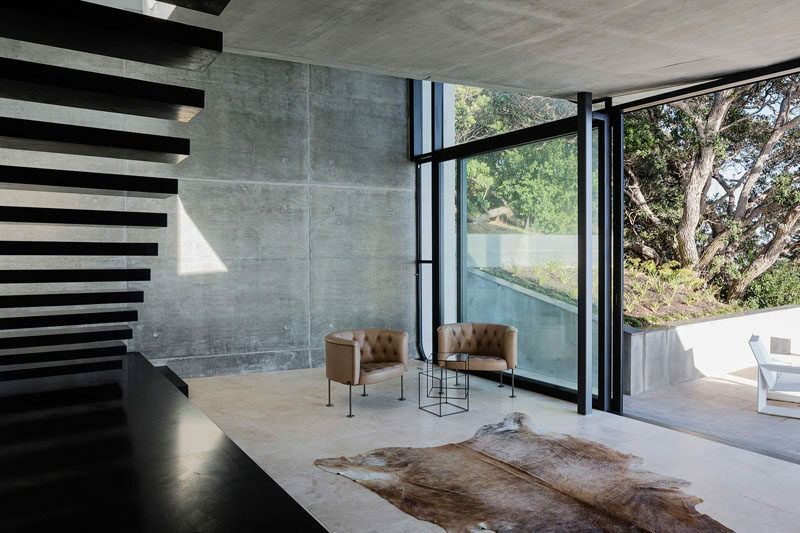 Bare concrete walls have been paired with Travertine flooring to create a contemporary look. 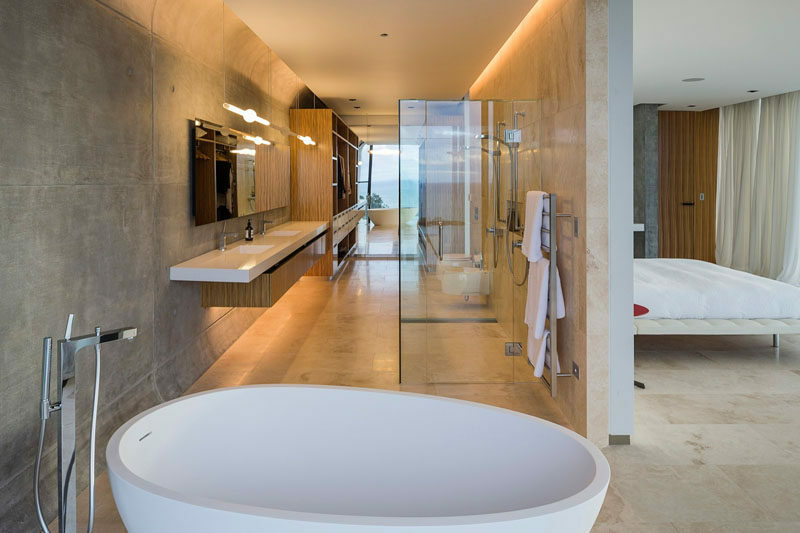 In the master bedroom, a wall separates the sleeping area from the bathroom, and hidden lighting creates a calming atmosphere.